account once an item is considered overdue. This communication not only provides you a snapshot of your student's reading interests, but also prompts students to be more conscientious about returning materials on time. The email includes the titles, the status of the items, and the checkout and due dates of all materials that your student has that are overdue. By instituting email reminders, the number of overdue items in our LRCs has decreased by 40% which places our most popular items into the hands of more students. The goal of our LRCs is to foster a love of reading and inspire students to read. We feel that this monthly email communication supports that goal. Associate with your student's name and the email address you would like the statement sent. If you have additional questions, please contact our LRC Facilitator, Ms, Miller, at bmiller@troy30c.org. 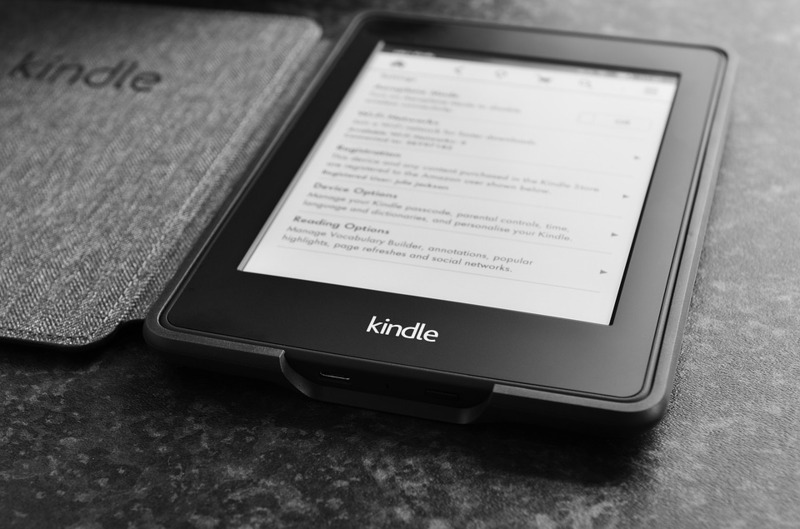 The Amazon Kindle is an e-book reader which enabled user to access a wide variety of books through a handheld device. The Kindles we have are available for students to check out for a three week loan period. Each Kindle had ten to twenty titles available to the user. Students who wish to use one of the LRC's electronic devices must first have the LRC Electronic Device Usage Policy and Agreement on file. Please read, sign, and turn in the form prior to checking out a Kindle. You can access the form via the button below or you can get one from your LRC Associate. Click on the button below to access the LRC Electronic Device Usage Policy and Agreement. Need help navigating the Kindle? Check out the Amazon Kindle tutorial for information on text to speech, using the built in dictionary, and how to navigate while reading. Click on the button below to access the tutorial.